Site of former Tup Street Bridge. 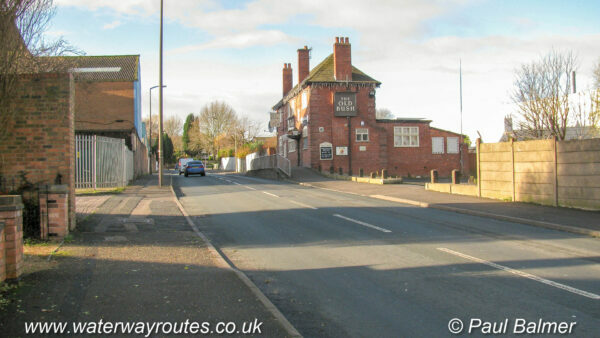 The Bradley Canal must cross this road from left to right to meet the end of the Wednesbury Oak Loop (sometimes called the Bradley Arm). The gradient on the road probably precludes raising it for a fixed bridge and a lift bridge seems the most likely solution.